When I have time to knit, these days, little things are often best. Finishing something up quickly feels like progress even when it really was just a couple of rows per evening. 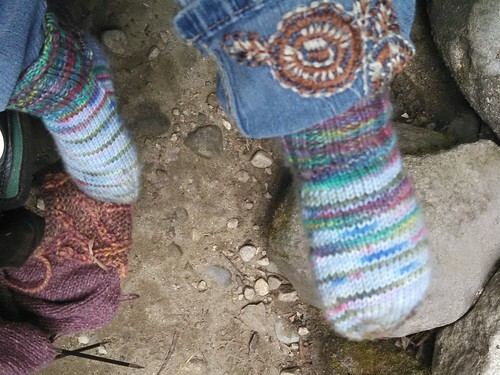 The toddler socks were finished at knitting camp this summer. 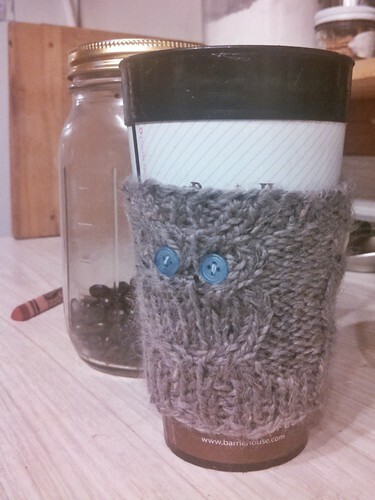 As if those weren’t speedy enough, I knit a coffee cup cozy next. And I’m wondering what would happen if EVERYONE got one for Christmas this year. So quick, and so satisfying. 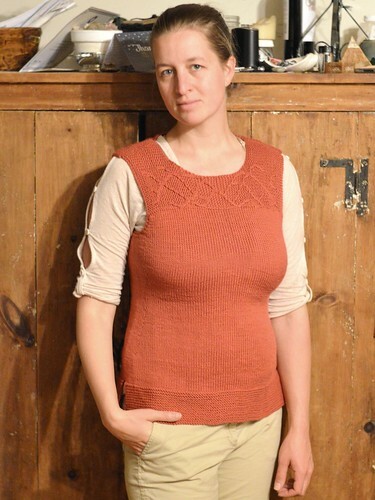 That’s not a typo- I actually have another meristem vest in progress right now just for me! The sample I knit for Twist is a 34″. Which isn’t a great look, since I really think this garment needs a hint of positive ease, see what I mean? So I’m knitting another one for me. And I’m making some changes (don’t look so shocked.) 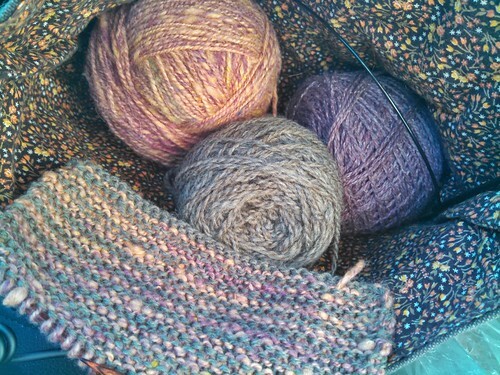 first, the yoke is knit in two colors, with the cables in some handspun from the deep stash. 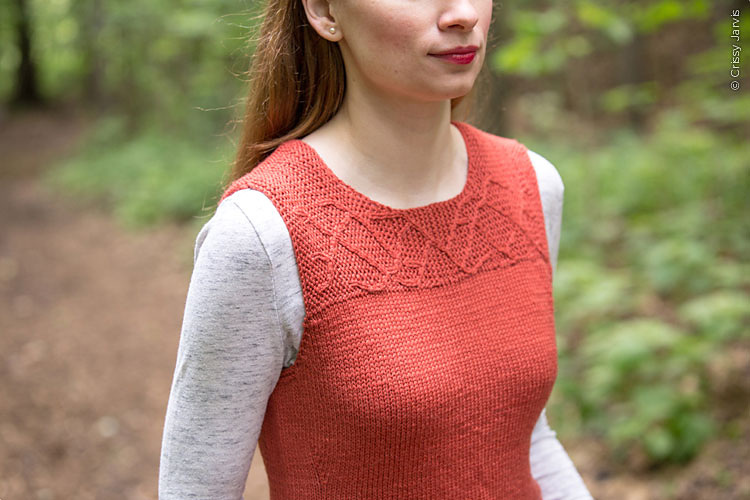 My latest pattern was published yesterday in the 7th anniversary edition of Twist Collective. 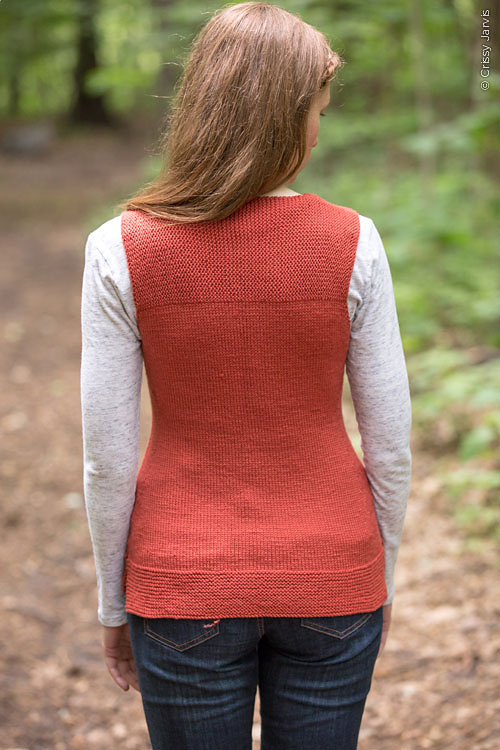 Meristem is a tunic length vest designed with casual elegance in mind. 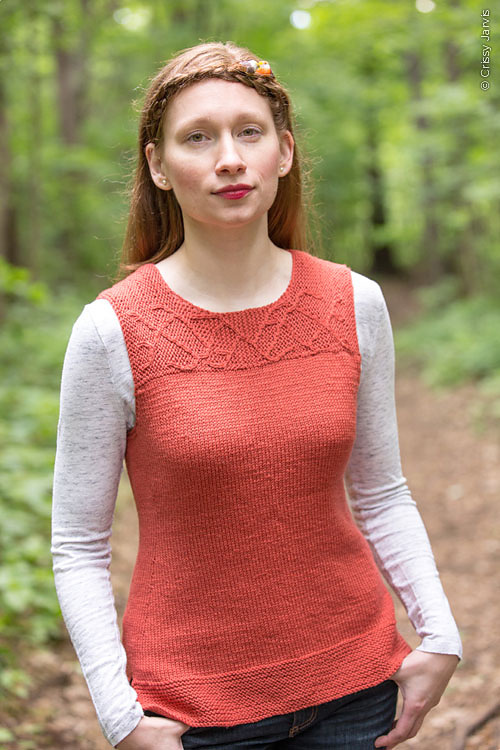 It is a simple, cozy garment perfect for the transition to autumnal weather. The front yoke features a slipped branching cable pattern. You can favorite and queue Meristem on Ravelry. You can also see more pattern details, over at Twist Collective. The yoke of the vest is knit sideways, with stitches picked up along the bottom edges and knit down for the body. The cables look simple enough, but I went through more than a few swatches to get them figured out! The cable over garter stitch looked so good in my submission swatch, I was sure that with the stitch definition of Valley DK it’d be a breeze. 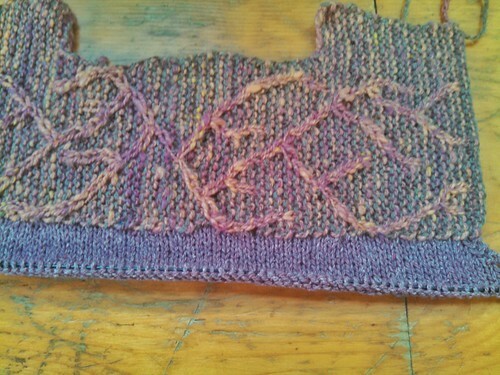 But once I had the yarn in hand I couldn’t get the cables to stand out the way I expected in my first swatch. So I tried twisted stitches (looked lumpy). I slipped the cables on the WS rows (too elongated). I was preparing myself for an awkward email to the editor saying the chosen yarn wouldn’t work – then I tried one more thing. I blocked my swatches. And you know what? That made the initial swatch (from my very first try) look gorgeous. Lesson relearned yet again. Always block your swatch. Like many (most) knitters out there I remember when the first issue of Twist was unveiled. I remember because there was nothing else like it at the time. And it was gorgeous. I’ve been lucky to work with Twist on several other occasions (Verbena, Trefoil, and Cambridge Cables) and every time I have loved the experience.